We know you have a broad range of options when it comes to choosing a dentist in Toronto. We'd like to offer a few reasons that you can feel confident in the care offered by the team at Dental Anaethesia Associates. This may seem simple, but it's one of the most important philosophies of our business. Too often, we hear stories from patients who feel like their dental professional was not listening. We also know that a trip to the dentist can be very stressful – and stress can actually increase when you feel that you're not being heard. So, we start by listening carefully to everything you want to say before we start talking. We watch and observe carefully to understand how to offer you the best possible dental experience. People have different ways of expressing anxiety – particularly at the dentist's office. Our team is very experienced in reading the nuances of behaviour, language and energy. There are many different ways to help patients relax. Your needs are uniquely yours, and it's our job to create a dental care experience for you and you alone. Gentle sedation to complete sleep – we offer all options. 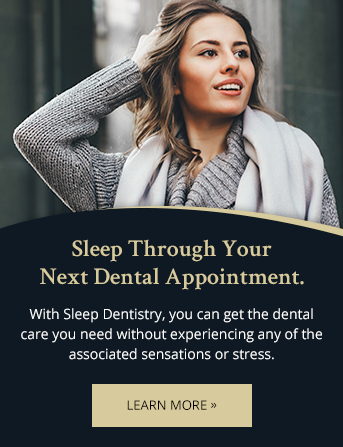 Whether you need just a bit of relaxation to help you through your dental appointment, or would prefer to be completely asleep, we will take care of you. We work with a large team of experienced and highly trained anaesthesiologists and anaesthetists from Humber River Hospital in Toronto. Our practice offers a hospital-quality setting, wrapped in a calming, spa-like environment. Our team includes 3 dentists, 2 Registered Nurses and 4 Registered Dental Hygienists. Each staff member has CPR certification which is renewed annually. All of this means you can expect an exceptional quality of care. And, we do it all in an office designed to feel like a spa. Your treatment plan is custom-designed for your needs and lifestyle. Our patients come to us with complex and varied needs, but many do not have the budget to get everything done right away. And at the same time, it may not make sense to do everything at once. After we meet you, complete our evaluations and collaborate internally, we'll develop a plan that works for your life – financially, as well as in terms of results. We don't take shortcuts. Period. Everyone on the Dental Anaesthetic Associates team is a professional, offering you the highest quality dental experience possible. So, we don't take shortcuts. We don't do 'quick quotes'. We don't rush. We take as much time as you need, and do things by the book. We help you navigate the paperwork to ensure you get the most value from your benefits. As many of our patients know, the dental insurance claims process can be complex. If you don't speak the 'language' of insurance and submit your claims properly, all sorts of unexpected problems can arise. We'll help you mitigate that risk by working closely with you and your insurance provider to ensure that everything is done in the right order, with proper process, to help you maximize your benefits. We are your life-long, full-family, 'one-stop' dental practice. At our practice, we handle everything from hygiene to oral surgeries – for children right through to retirees. If you are looking for a smile makeover, our Cosmetic Services are for you. If you need Restorative Dentistry or require a root canal, we've got you covered. Or if you just need to bring your kids in for a cleaning, we're happy to meet them. We are here for you... for life.